(Age: 7+) “Billy loves to bowl – fast! 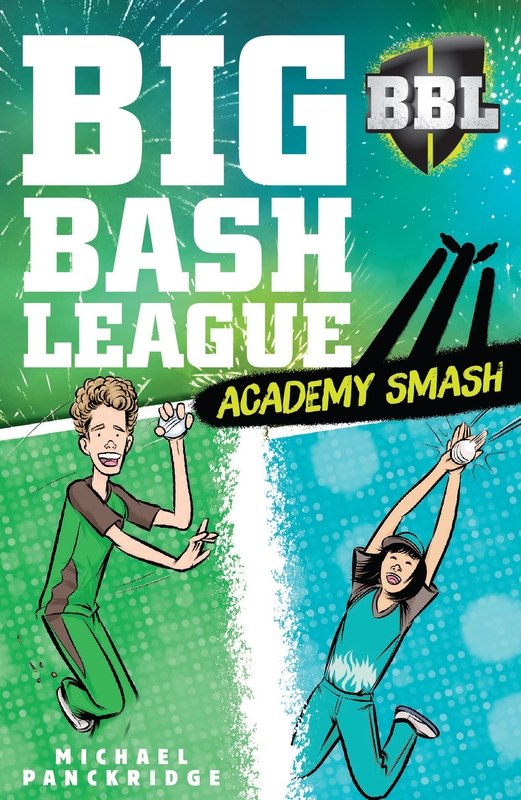 He’s also a massive Melbourne Stars fan and when his friend Wen-Lee lets him know about a cricket academy camp, run by none other than the Stars, Billy is desperate to go! So is Wen-Lee, even if she does barrack for the Brisbane Heat. This is the fifth book in the series and to be honest I can not see it being any less popular with both the boys and girls. These books are rarely on the shelf in our library, with students aged from 7 upwards borrowing them. It is fantastic to see that there are both male and female strong lead characters in the book. It is a story of determination, friendship and quick thinking. The storyline follows a traditional narrative and will be sure to maintain the interest of the reader. For the sport enthusiast, this series fills a gap for students who are ready for the next challenge of a chapter book, moving on from ‘quick read’ chapter books. Even though there are 137 pages, the text is relatively large, meaning it will not actually take long to read. I am sure many children will have this on their Christmas wish list. Another ‘must have’ for the library collection.